We are meeting on Sunday mornings at Explorer Middle School, in the Desert Ridge area. Please let us know if you have any questions about our meeting location and we'll be glad to help you out! As a new church inhabiting public space on Sundays, we like to keep our gatherings simple and sacred. Come as you are, connect with others, and enjoy some delicious homemade cold brew coffee. We will have a meaningful message and some great music. We think church should be fun, laid back, and authentic. Everyone is welcome! We start at 10:30 with a few modern worship songs. We love to sing songs from bands like Hillsong, Bethel, and Elevation Worship and others, but we also love classic hymns. There is a 10 minute break in the service right before a time of teaching where you could meet someone new, catch up with a friend, or grab some free coffee and snacks. 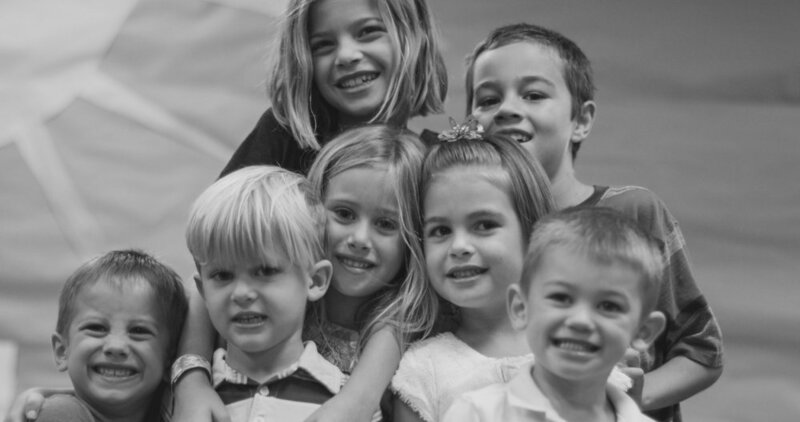 We create a safe, loving, and positive environment in our children’s ministry. There are four children's areas: Nursery, Toddlers, Preschoolers, and Elementary. The youngest three classes are dropped off before the service, while Elementary kids begin in worship with families and are dismissed before the sermon. For more information about our community groups, email Tyler Ells. Throughout the week, there are several groups that meet up to enjoy community and study together. In addition to family community groups, we also have a Men's Bible Study and a Women's Bible Study that meet separately. As a church, we meet on Sunday for a corporate worship service but our mid-week groups meet with the purpose and intention of going deeper in relationships with each other and in relationship with God.